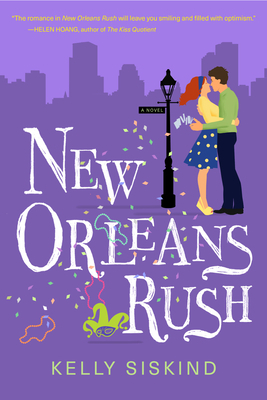 Beatrice Baker may be a struggling artist, but she believes all hardships have silver linings...until she follows her boyfriend to New Orleans and finds him with another woman. Instead of turning those lemons into lemonade, she drinks lemon drop martinis and keys the wrong man's car. Now she works for Huxley Marlow of the Marvelous Marlow Boys, getting shoved in boxes as an on-stage magician's assistant. A cool job for some, but Bea's been coerced into the role to cover her debt. She also maybe fantasizes about her boss's adept hands and what else they can do. She absolutely will not fall for him, or kiss him senseless. Until she does. The scarred, enigmatic Huxley has unwittingly become her muse, unlocking her artistic dry spell, but his vague nightly activities are highly suspect. The last time Beatrice trusted a man, her bank account got drained and she almost got arrested. Surely this can't end that badly...right?